If you’re looking for a simple and affordable way to upgrade the interior of your Los Angeles home, you may want to consider investing in shades for your windows. Window shades are a very common window treatment across California for a variety of reasons. These window coverings offer the same soft quality as curtains with the unique, controlled appearance of window blinds. 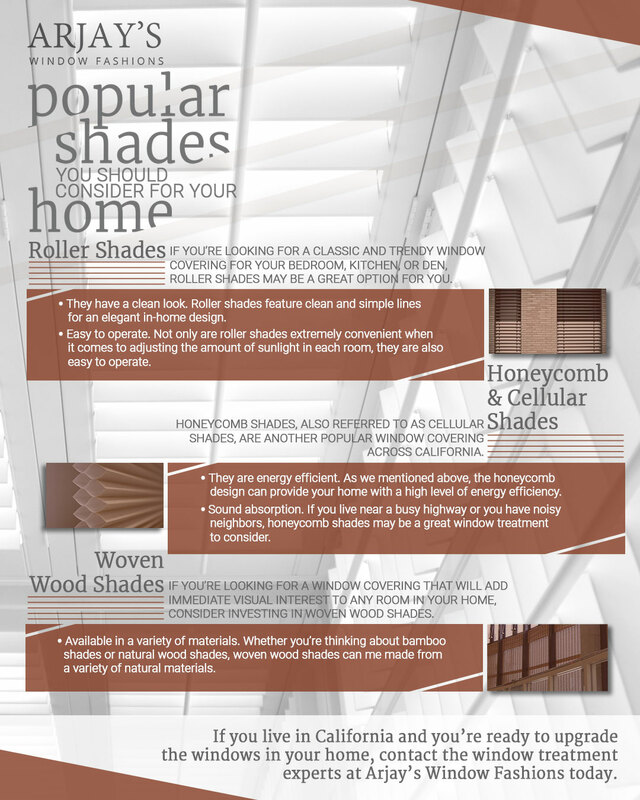 Whatever kind of shades you consider for your home, choosing new window treatments can be an exciting process. At Arjay’s Window Fashions, we’ve successfully helped hundreds of people choose the best window shades for their home. When you visit our showroom in Ventura, you can experience our wonderful array of window treatments first-hand. When you work with our dedicated team of specialists, we’ll manage every phase of your window covering project from the initial design to the complete installation. If you’re interested in getting a quote, feel free to give us a call today! 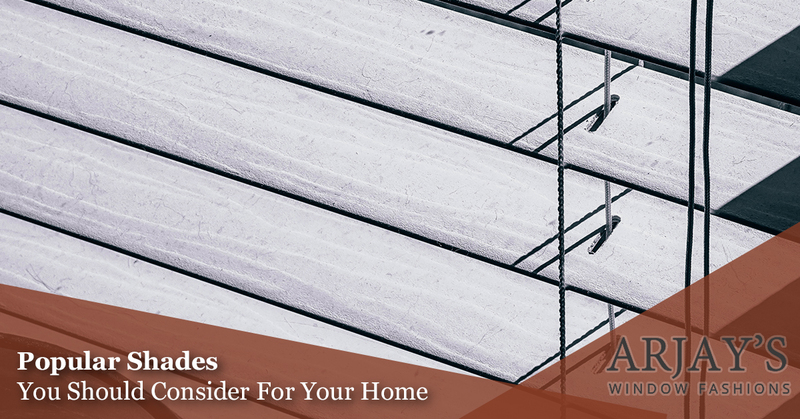 In this blog, we’re going to take a closer look at some popular window shades you should consider for your home. They have a clean look. Roller shades feature clean and simple lines for an elegant in-home design. You don’t have to worry about distracting your guests and visitors from the other decor in your home because these window treatments won’t steal the spotlight. Easy to operate. Not only are roller shades extremely convenient when it comes to adjusting the amount of sunlight in each room, they are also easy to operate. To adjust the height of these unique window coverings, all you have to do is raise or lower the bottom rail. Some roller shades come with motorized lift systems, allowing you to raise and lower your window coverings with the simple push of a button. They block light. If you’re looking for a window covering that will effectively block sunlight, roller shades may be a perfect option for you. Easy upkeep. Many people fear investing in roller shades because they think they will require a significant amount of maintenance and upkeep. We’re here to tell you this is far from the truth. The minimalist appearance of roller shades makes them very easy to clean. A simple wipe with a wet cloth is all you need to do to effectively remove dirt, dust, and grime from their surface. Designer features. Did you know that roller shades are available in a variety of textures, colors, and materials? Whether you’re looking for a simple off-white shade or a textured bamboo shade for the kitchen, it’s easy to find a style that works with the decor of your home. If you’re interested in installing roller shades in your Los Angeles home, reach out to the window treatment professionals at Arjay’s Window Fashions today. Our factory-trained technicians specialize in residential and commercial shade installation in the Ventura and Los Angeles area, and we would love to work with you. They are energy efficient. As we mentioned above, the honeycomb design can provide your home with a high level of energy efficiency. This means that these shades can keep your home warmer in the winter and cooler in the summer, saving you money on your electric bill. Sound absorption. If you live near a busy highway or you have noisy neighbors, honeycomb shades may be a great window treatment to consider. The design of cellular shades are not only energy efficient, they can also help block out sound from outside. A variety of styles. Depending on your needs and budget, there are a variety of thickness and styles of shades to choose from. Blackout options. If you’re looking for a surefire way to block out the sunlight in your bedroom, you’ll be happy to know that there are blackout options of cellular shades that you can buy. When it comes to honeycomb and cellular shades, you can trust Arjay’s Window Fashions in Los Angeles to provide you with a wonderful and affordable selection. We offer single, double, and triple celled shades with standard cord and cordless operations. 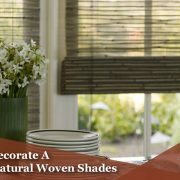 If you’re looking for a window covering that will add immediate visual interest to any room in your home, consider investing in woven wood shades. These shades can add a distinct layer of texture to your bedroom, office, or family room, and they can be amplified by a wide range of colors and patterns. From dark exotic stains to bright coastal whites, you’re sure to find woven wood shades that complement any room in your home. Available in a variety of materials. Whether you’re thinking about bamboo shades or natural wood shades, woven wood shades can me made from a variety of natural materials. Bamboo tends to be among the most sustainable material due to its rapid growth cycle, making it a very eco-friendly option for California homeowners. Various color choices. Contrary to popular belief, woven wood shades are available in a plethora of color options. Whether you’re thinking about light beige or cream tones or you want something a little more rustic and dark, Arjay’s Window Fashions has all of the options you need. Available in specialty shapes. Unlike other window coverings on the market, woven wood blinds can come in speciality shapes. These shades can be manufactured as arched or with angle tops, depending on your preference. They can be motorized. 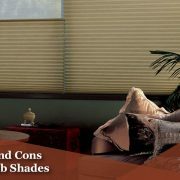 Like other popular window treatments, woven wood blinds can be motorized and operated via an easy-to-use remote control. Light control. 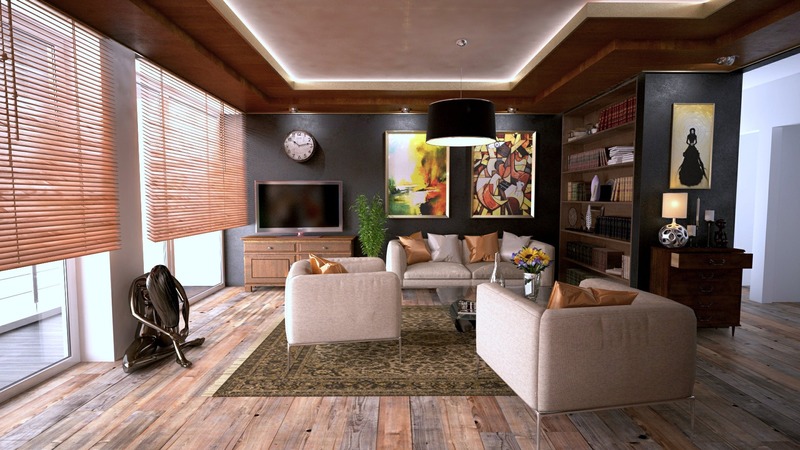 If light control is a main concern for you, you’ll be pleased to know that woven wood shades offer a good amount of it. Some shades can be manufactured with independent liners, which can allow you to enjoy natural, filtered light with an added layer of privacy. Whether you want to add an exotic, rustic, or simple look to the interior of your home, woven wood blinds can help to get the job done. With the help of decorative trim options and edge bindings, our window treatment professionals can help you create a beautifully personalized look in any room of your home. If you live in California and you’re ready to upgrade the windows in your home with blinds, shutters, or shades, contact our window treatment experts today. From child safety designs to eco-friendly window treatments, we can help you find the perfect window coverings for your home. If you’re interested in checking out some of our past projects, feel free to do so online. Give our specialists a call to schedule a complimentary appointment today! When Should I Replace My Window Treatments?